For those looking to get a major head start on their Halloween costume, we humbly offer the ‘Stilt Spirit’. 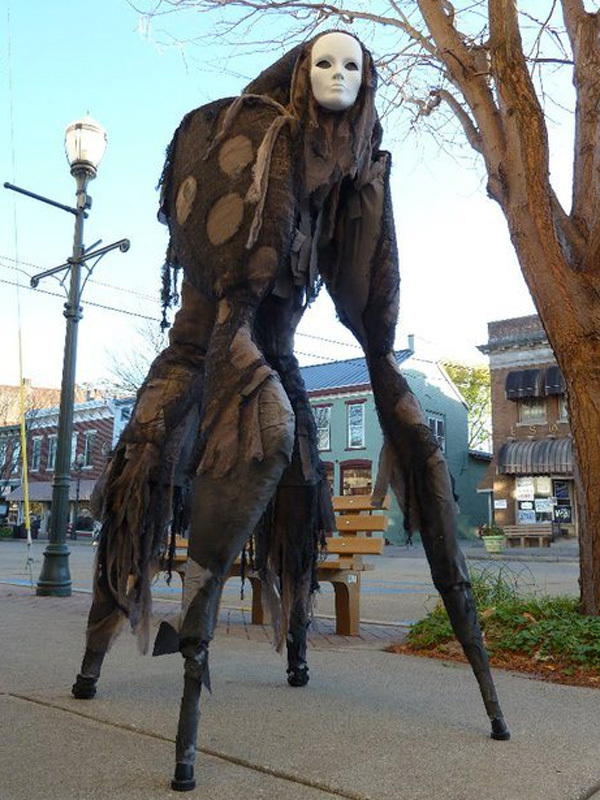 Created by artist Melissa Irwin and her husband Garen and inspired from The Dark Crystal and the films of Hayao Miyazaki, the “Stilt Spirit” costumes are made up of crutches, upholstery foam, and stilts. The pale, white human face is wonderfully creepy and the unsettling walk completed the entire experience. For those looking to have a costume of their own, Irwin is selling directions on her Etsy store. Check out the video on the behind these scenes of these amazing walkers.